CNN Football Club: Ian Wright answers your questions! What would you ask former Arsenal striker Ian Wright? (Getty Images). 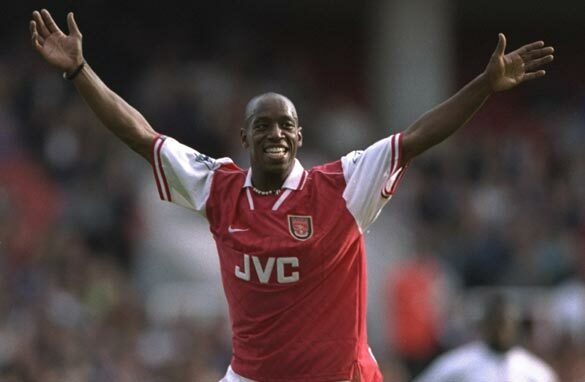 Ian Wright joined Arsenal in 1991 and went on to become a club legend, scoring 185 goals in 288 games and helping the London team to a Premier League and FA Cup double in 1998. The former England striker was already at Highbury when Arsene Wenger arrived in 1996 and led the club through an era of domestic success and scintillating football. Now, with Wenger's Arsenal in apparent crisis following the 3-1 defeat by Bayern Munich, CNN Football Club asked one of the club's greatest ever players your questions.CNN’s half-hour weekly global debate show also reviewed Bayern’s destruction of Arsenal in the company of Wright in addition to discussing the week's other Champions League ties. It was also an opportunity for you to put your questions to Wright. What impact did Wenger have when he arrived at Arsenal 17 years ago? And has the time arrived for the Frenchman to stand aside? But that isn’t the only way for you to get involved. You can also vote in our poll, which this week asked the question whether it is time for Arsenal to sack Wenger? Vote in the poll to the right and don’t forget to tune in to the CNN Football Club on CNN International at 1700 GMT on Thursdays during Champions League match weeks. You can also have your say by following our @CNNFC Twitter account or visit the show’s Facebook page. With a plethora of talent in all positions, why do you think England consistently struggle in international tournaments? Also: do you have any early predictions for next year’s World Cup? I don't think it is time to sack Wenger. But should be pressured to change his mentality and attitude towards the title challenge. How come Ian hasn't taken any coaching position at arsenal? And secondly don't you think wenger has lost his tactics of coaching compared to when he arrived highbury years ago? Did you experience a lot of racism during your career and if so, how did you manage to play through it? How does it feel to have your children take after you, and does it hurt you to see them not reaching the heights you reached during your playing days? If Arsene Wenger was to leave this summer whom do you reckon is the best candidate to take over at the helm? Gazidis needs to acknowledge the current strategy needs to change. Arsene can then choose for himself whether he wants to be the man to execute that strategy, or resign with dignity. He does not deserve to be sacked. Who do you think will be the right replacement for Wenger, given the club's attitude towards Salary caps. Wasn't it the Management, and not Wenger who was responsible for Gael Clichy and RVP's exit? Will any other Manager be able to even do as well as Wenger given these restrictions? Actually Piers Morgan said it all, you can not build up a winning team when you sells your top players take Barca for example, when was the last time Barca sold any of their second level players not to talk about the first eleven. For past two years Arsenal has turn to a selling club. You can not sell your best prayers and be expecting to win something gone are those days. Question for Ian Wright. What is Walcott's best position – a centre-forward or out wide? Reblogged this on cidouglas's Blog. What a confident footballer and a leader on the field. Ian used to be superb for club and country. Yet to see some one of his stature for club and country.